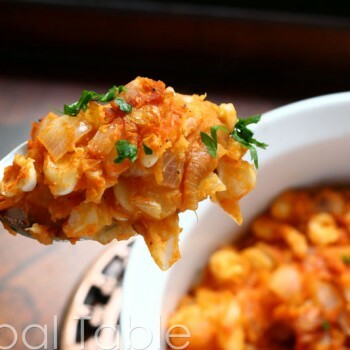 Prebranac is rich, comforting, and tasty. 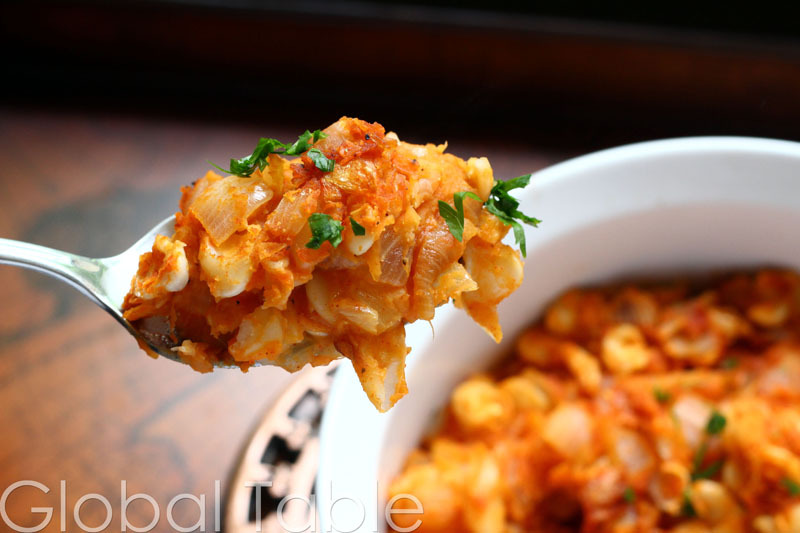 This baked bean dish is like a warm hug from Bosnia, the “Heart of Europe.” The key is to slowly cook the onion until the golden, sweetness develops. I will be making Prebranac over and over again. I suggest you do the same! Heat up olive oil in a pot over medium heat. Add onion and cook until golden – about 10 minutes. Add garlic, paprika, flour, salt, and pepper. Cook a few minutes until spices are fragrant and flour is moistened. Add beans and stir to combine. Pour into a casserole and bake until crusty on top, about 15 minutes.